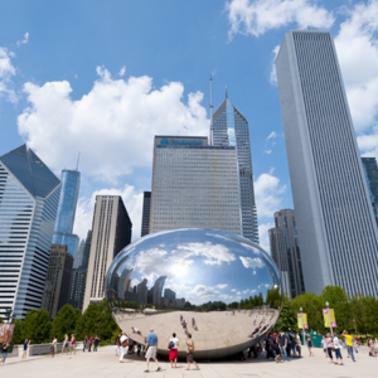 Take your summer fun in Chicago to the next level with thrills like rock climbing, jet skiing and even indoor skydiving. Looking for some thrilling summer fun in Chicago? 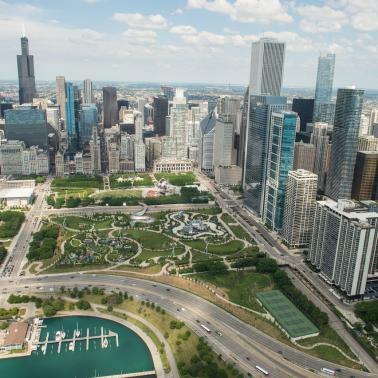 Kick things up a notch with rock climbing right in the middle of the city, skateboarding on the lakefront, kayaking the Chicago River, an extreme speedboat ride on Lake Michigan, indoor skydiving in Lincoln Park and more. Rock climbing in the middle of Chicago? It’s a reality at the Maggie Daley Park Climbing Wall, located right next to downtown Millennium Park. 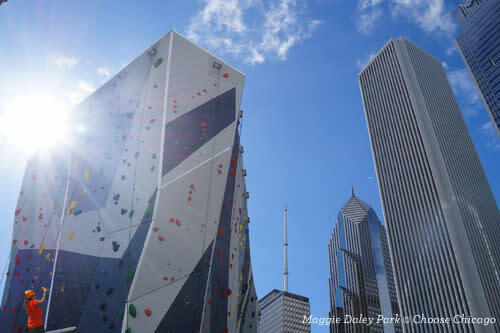 The soaring wall, complete with sculptural rocks and boulders, forms Chicago’s only climbing park. Perfect for beginners and experts alike, instruction is provided by park staff. Reaching a maximum height of 40 feet, the wall is divided into beginner and advanced spaces with three different types of climbing: bouldering, lead-harnessed and top rope. Between 25-100 climbers are allowed on the wall at once, on a first-come, first-served basis. Climbing equipment is available for rental. Skateboarders will want to make tracks to the Grant Park Skate Park. This nearly two-acre lakefront course features concrete ramps, grinding rails, quarter pipes, two stair sets and a cool gap jump. There are also wheel-friendly elements for BMX bikes, rollerblades and scooters. Or head to House of Vans Chicago in the West Loop, a cultural hub for the Vans shoe brand. The new Chicago warehouse location functions as an indoor skate park, art gallery, music venue and indie film house. The custom-built course was inspired by iconic West Coast skate parks, and pays homage to Chicago’s own Wrigley Field with an ivy-covered wall. Skating and all events are free. For a unique urban adventure, paddle up the Chicago River and right through a canyon of downtown skyscrapers with Urban Kayaks. First-timers will want to take the Intro Paddle at Chicago Riverwalk, a one-hour lesson that’s a great option for paddlers new to the Chicago River. For more advanced kayakers, the 1.5-hour Historic Chicago Tour is a guided excursion along the Chicago River’s main branch that includes narration of the city’s fascinating history and points out architecturally important buildings. Or get your camera ready for the dramatic views during the 1.5-hour Sunset Tour through the heart of Chicago. 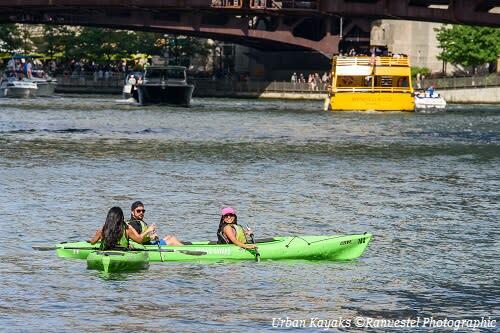 Besides the Chicago Riverwalk, Urban Kayaks also has locations at the boathouse in Chinatown’s Ping Tom Memorial Park and in the Streeterville neighborhood, on Ogden Slip near Navy Pier. 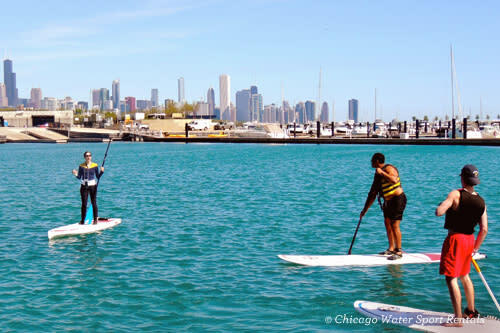 If you’re a fan of stand-up paddle boarding (SUP), then head to the picturesque 31stStreet Harbor and Chicago Water Sport Rentals. If you’re new to the sport, SUP involves standing on a wide board (similar to a surfboard), using a paddle to power and steer through the water. Basic instructions are offered, and equipment rental includes a life jacket, board and paddle. If you’re more advanced, sign up for a one-hour SUP Yoga class that begins with stretching on land before heading out to the blue waters of Lake Michigan. Besides SUP, Chicago Water Sport also rents jet skis and kayaks. 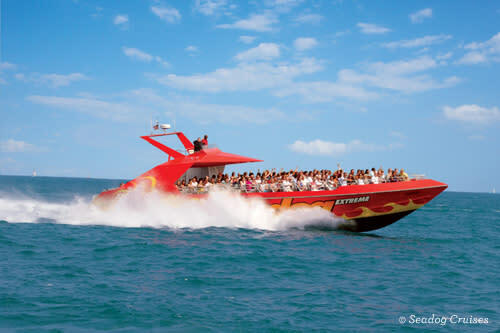 Zoom along the lakefront on a rental from Jet Ski Chicago. Located at the popular North Avenue Beach, Jet Ski Chicago rents powerful Yamaha VX110 Wave Runners. 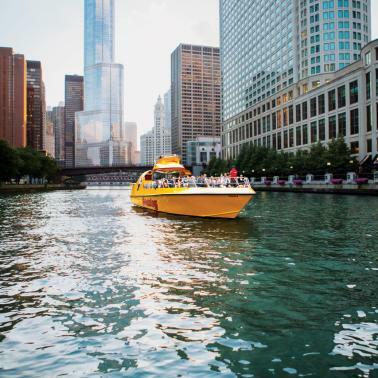 With the stunning Chicago skyline as your backdrop, jump the choppy waves or motor out to the Playpen (a no-wake zone and popular meeting spot for boaters just off Oak Street Beach) for a smooth water cruise. 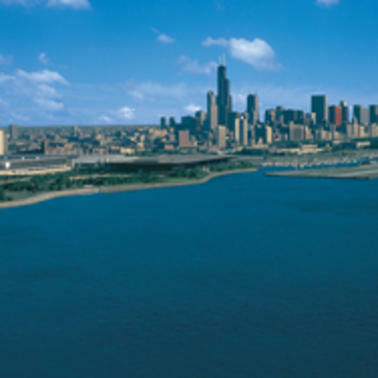 Besides riding along the beachfront, you can also buzz by Navy Pier for a breathtaking view from the water. Reservations are recommended, although walk-ups are welcome. Equipment includes a life jacket, and wet suits are available. Jet ski rentals are offered seven days a week until dusk. Yes, Seadog Cruises offers lakefront and river cruises. But adrenaline junkies will want to sign up for the Extreme Thrill Ride. Boasting two 1400 HP engines, the Seadog speedboat takes off with a jet-propelled blast from Navy Pier. Out on the open Lake Michigan water the boat reaches speeds that top 45mph, making full-throttle slalom runs, sharp twists and turns, and full 360-degree spins along the way. There’s also music and a fun narration about the city as you ride. But be forewarned: you will get wet! Have you always dreamed of skydiving, but could never get up the courage to actually jump from a plane? 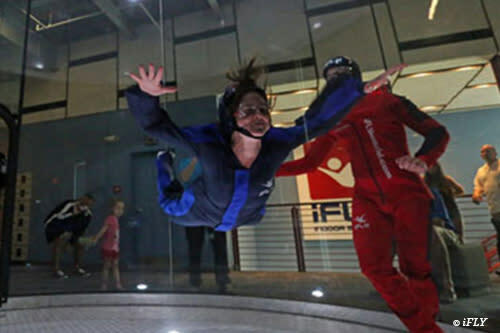 Then the iFLY Indoor Skydiving experience in Lincoln Park is the thrill for you. There’s no jumping or parachutes here—just an indoor vertical wind tunnel powered by fans creating a smooth cushion of air that simulates the floating feeling of freefalling. A certified flight instructor provides training, with tips on proper body position and a checklist of the hand signals instructors will use while you are flying. Then, it’s time to slip into your gear, including a flight suit, helmet and goggles. Your instructor will help you into the flight chamber (tip: just lean in) and will stay with you the entire flight, helping you to soar like a superhero. Afterwards, you’ll receive a personalized flight certificate, with keepsake pictures and video of your exhilarating flight available for purchase.